Where Do Executives See the Top Business Risks? What is unique about so-called “direct thermal” (heat sensitive materials) for bar code label printing? No one has ProMat 2017 coverage like SCDigest, and deservedly so because there was a lot of interesting news this year coming out of the show from MHI. You will find what caught the eye of materials handling editor Cliff Holste and I in our video review and comments for Day 1 and Day 2. Then last week, I offered a column on overall show themes and trends. Finally, we broke the full day 1 video into individual clips of new solutions, so you can browse just what you want to see, and will do the same next week for Day 2. It won't be long before you will be able to walk through a pick module for your new automation system, scan cartons and start throwing them on the conveyor. This week, I am going to review some of the cool and interesting new solutions Cliff and I saw at this year's event. I will start with one that leaves me with as many questions as answers, and that is a new drone inventory system from a company called PINC. In the relatively recent past we actually featured a drone system from PINC for outdoor yard management. This new one basically does the same thing indoors, with a drone flying the aisles of a distribution center to take a physical inventory. Imaging cameras on the drones capture product and location IDs, syncing the two, and updating what inventory is where. Generally, aisles are temporarily shut down while a drone flies up, down and sideways doing its thing for awhile. My basic question is this. Most every large DC has a Warehouse Management System, and most mobile RF terminals of some kind. My direct experience is that this can lead to very high levels of accuracy in terms of what pallets are stored in what location. Yet, inventory accuracy in many DCs is so bad we need drones flying around taking inventory? I will note the PINC booth was very crowed, and I saw two different retailers talking about their interest in the system, one saying their company operated seven DCs of more than one million square feet. Walmart showed the media their tests of drones for this exact purpose in one of its DCs in 2016. So I just don't know, but I would suspect that while there are some companies that clearly must have a need for such a system, other more operationally disciplined companies would say they have inventory location accuracy under control. Would love your thoughts on this. I was also impressed with the new order fulfillment system for piece picking and packing from software provider Softeon, which regularly comes to the show with something innovative. This will be hard to describe in just a few words, but the Softeon WMS eliminates the need for any third party software for things like Voice, light-driven carts and "put walls," and more - technologies being adopted to try to reduce piece picking costs. By directly controlling all these systems, the Softeon solution can drive true real-time operations across all of them, enabling optimized order release and better exception handling. Just as important, by taking the control software out, off-the-shelf hardware and regular smart phones can be used, reducing costs by as much as 70%. The Softeon system is being used at several retailers, and I talked to one of them that was very pleased with the results. Going in a very different direction, it's not new by any means, but Cliff and I were impressed with the assisted carton lifting system from Vaculex. The system uses a vacuum-type device to make carton loading and unloading almost effortless. I have been in dozens of DCs and Cliff hundreds of them. Neither of us has ever seen a similar system operating in a DC, though I have seen assisted lifting systems in manufacturing (see Feedback letter below). Vaculex said there are many such systems in Europe, where laws often limit what DC employees can lift. But it said the numbers were growing in the US. The system - which costs something like $10-12,000 each - actually increases productivity through reducing fatigue, probably helps with retention, and reduces injuries. To me, you would feel a bit more like a technician than a box schlumper with one of these systems. If I ran a DC, I would definitely take a look. I also very much liked the system from Apex Supply Chain Technologies that controls access to mobile devices like RF or voice terminals, in a highly secure mode. These automatic dispensing units secure the assets, eliminate the need for a human to manage giving the devices to workers and their return, and can be modularized around a facility to get rid of the long lines that often result from a central asset management location. The best of Day 1 video shows how this works - it's worth a look. In some of the biggest news coming out of the show, consulting firm Tompkins International is jumping into the systems business in a big way, becoming the sole North America distributor for a new robotic sortation system. Small AGVs on a mezzanine structure move to humans, who place an item on a tray atop the robot. The robots then travel to any one of a number of chutes, tilting to dispense the item to packers down below. Claim is that this system is much less expensive than a traditional tilt tray sorter, and more flexible. What's more, Tompkins is also now part owner of a company called SensorThink, which in great summary has developed sort of a home automation system for a DC. What does that mean? The system aims to be a platform for all kinds of data, from what is happening on materials handling systems to the HVAC and electrical systems and more, much of it coming from Internet of Things devices. I need to better understand how all this works. The idea is others will leverage this data to build applications and analytics. How do DC temperatures really impact productivity? Now you will be able to really know, to cite one example. More soon. Also worth noting is that material handling firms TGW and Dematic if not others were featuring virtual reality tours of their solutions, headsets and all. This is important for several reasons. First, TGW told us they were moving in this direction rather than bringing, at high cost, actual equipment to the show. More consequentially, both firms said they were building capabilities to do the VR thing for individual customers for their specific system designs. Dematic in fact claimed the ability to create these custom simulations very rapidly. We are early in this game, but it won't be long before you will be able to walk through a pick module for your new automation system, scan cartons and start throwing them on the conveyor belt yourself to test how it will work. Wow. Vision systems are having a big impact on materials handling in several ways. For example, a new imager from Cognex - which has been impressing with innovation for several years now - looks into a carton and takes images with something like a million data points. Why does this matter? Because it creates a lot more "resolution" as to what is in the box where, especially how the products are layered inside. This great detail can then be used by order picking robots to improve the speed and accuracy of picking items out of a carton or tote. German systems provider Knaap was in fact using the Cognex imager to drive a very high speed robotic piece picker on the show floor that was very impressive. Similarly, a company called I am Robotics uses a stored 3D image of each item to help its piece picking robot traverse aisles of static storage and pick items into a tote using an AGV with a small robotic vacuum arm. 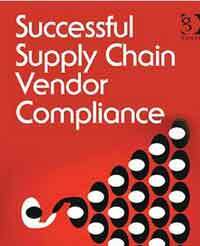 The system in effect "sees" the item on the shelf to confirm it is the right SKU and determine its approach. The magic is all in the vision system and software, which continues to improve, increasing system speed. The I am Robotics system can also be used to pick totes, with the CEO telling us it can do so at much lower costs than other options such as shuttle systems. There was a lot more but I am out of space. 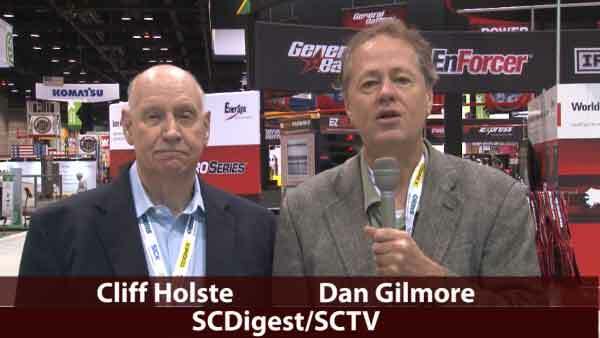 Look for best of Day 2 videos early next week on SCDigest.com and then in our OnTarget newsletter. Any reaction to Gilmore's ProMat trip report? Where you at the show, and if Yes what caught your eye? Do we need inventory drones for the DC? Let us know your thoughts at the Feedback button below. We always get number of brief notes after our video coverage of event like ProMat thanking us for the effort, and we admittedly love to hear that. You'll find a smattering of those below, including a very nice note from our good friend John Hill, and an interesting letter from someone with direct experience using carton lift assist systems in the DC. Kudos for your PROMAT 2017 two-day video review. With roughly 900 exhibitors, thousands of feet to travel and traffic at our own booth that made it difficult to take a break, spending half an hour watching and listening to your recap in the comfort of my office was well worth the time! I appreciate your Weekly Reviews and your recent summaries from ProMat. You mentioned that you hadn't really seen much use of vacuum assist technology out there, other than in some heavy manufacturing environments. Just wanted to let you know that I work for a distributor in the Midwest, and we have been using vacuum assist in our warehouse for a couple years now. Our primary application is unloading ocean containers that are stacked floor to ceiling with cartons that would be categorized as mildly heavy (5-30 lbs). But it is definitely tiring work, since the cartons are not on pallets and can't be removed that way. So we use a vacuum assist unit attached to a belt conveyor that can be extended into the container as it is worked. The cartons are then pulled off the conveyor and stacked on pallets by SKU. It has been a success, and has eliminated a lot of back-breaking (or at least back-tiring) work. Fantastic job as usual summarizing trends and solutions at ProMat. Your video summaries are outstanding, and should be "must watch" for logistics professionals. Don't know how you do it so well so fast. Keep it up! 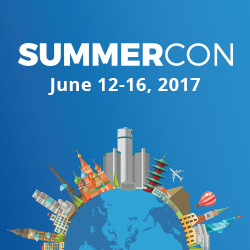 Great video coverage for all of us that could not make the conference. Q: What is unique about so-called “direct thermal” (heat sensitive materials) for bar code label printing? A: It is the only method that does not require a separate ink source in addition to the label, e.g., a thermal ribbon, ink jet or laser cartridge, etc.